​Manchester United are set to switch their attention from Crystal Palace full-back Aaron Wan-Bissaka to Paris Saint-Germain's Thomas Meunier following the promising season enjoyed by Diogo Dalot. Wan-Bissaka, 21, has been heavily courted by United in recent months following an outstanding campaign for Palace. He's made 30 Premier League appearances so far and has recorded the third most tackles in the league (115) and is fifth in the division for interceptions (65). Despite interest from the Red Devils, ​The Sun have reported that their attentions could in fact turn to the more experienced Meunier, partly due to the emergence of Dalot in his first season at Old Trafford, following a summer move from FC Porto. They claim that ​United would prefer to have a more established full-back to challenge Dalot next season in what will be Ole Gunnar Solskjaer's first full season in charge, rather than have two young players battling for the position. Dalot, 20, has shown promise in his first season at Old Trafford, with the Portugal Under-21 international providing two assists in 12 ​Premier League games. As well, he's also showcased his versatility at times under both Jose Mourinho and now Solskjaer, playing as either a right or left winger in both the league and Champions League. Should Meunier, ​who has recently been linked with a move to ​United, join Dalot at United in the summer, they will be getting a 27-year-old Belgium international who helped his nation finish third at the 2018 World Cup. 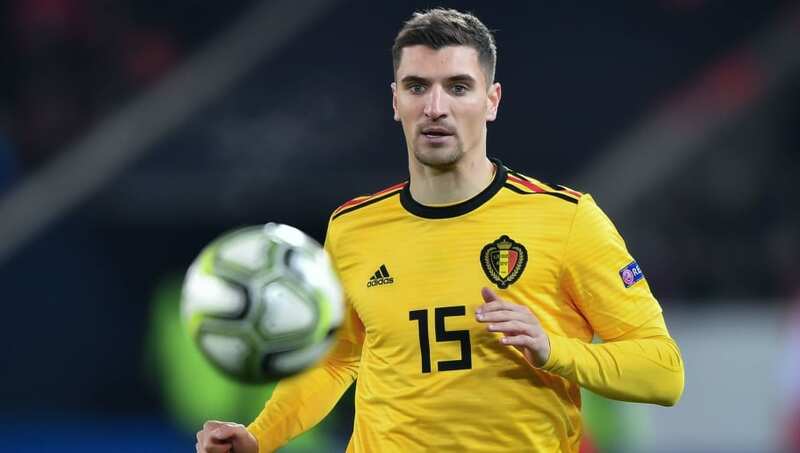 Meunier has three goals and three assists for in 19 Ligue 1 appearances this campaign, and has won one league title since his move to the Parisian club in 2016.